i have an odd relationship with caramel. for years i told myself i didn't like caramel and wouldn't go near it. most store-bought caramel candies and sauces that i had tasted tended to be sickening sweet, and although i enjoy desserts, i'm not a fan of things that are overly sweet. store-bought caramel candies and caramel sauces often have a laundry list of ingredients that i don't want to consume too. i always enjoy a caramel apple once a year in the fall, but other than that, i had an aversion to anything that involved caramel. then we made homemade caramel a few years ago for a homemade twix bar recipe and again for a homemade caramel popcorn recipe, and my opinion changed. 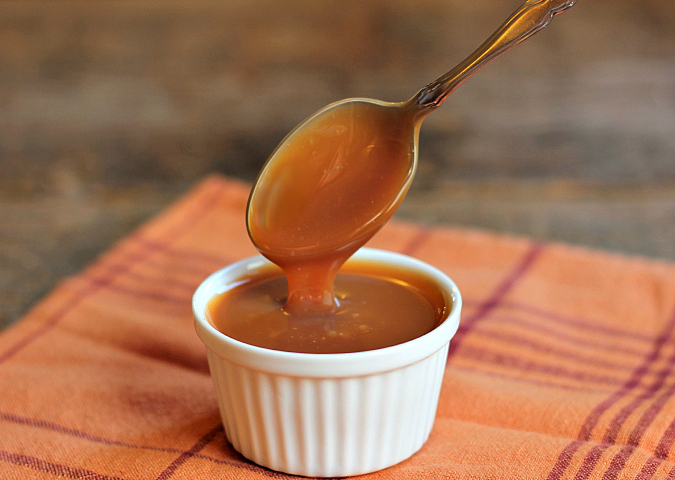 recently we tried our hands at caramel again and made a homemade caramel sauce. now i have a different outlook on caramel. 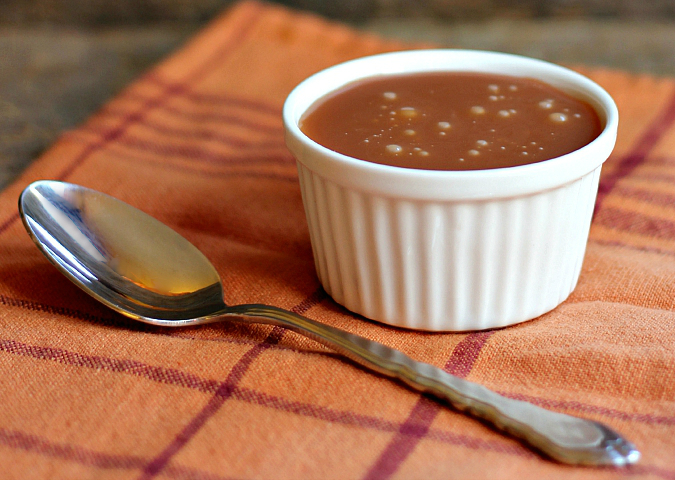 this caramel sauce is easy to make and only involves a few simple ingredients. there's no butter, corn syrup, or condensed milk in this recipe, only water, sugar, and cream. you could do anything you want with this caramel sauce. you could put it in your coffee, drizzle it on top of ice cream, mix it into your favorite frosting recipe, dip fruit or other snacks into it . . . the options are endless. you just need to have a little bit of patience to stand over a hot stove until the caramel is just right, which isn't easy but it is worth it for the end result! combine the water and the sugar in a saucepan over low heat. stir until all of the sugar has dissolved. increase the heat to high and periodically use the handle of the pot to swirl the mixture to keep it moving, but do not stir the mixture. the mixture will start to bubble, then after a few minutes the mixture will turn to a light amber color. as soon as the mixture turns to a dark amber color, turn off the heat and add the cream. whisk to combine. set the mixture aside to allow it to cool. 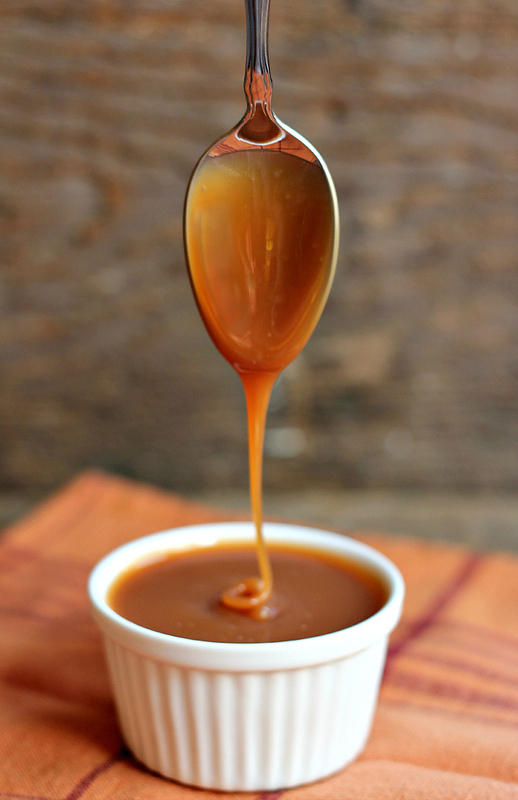 store the caramel sauce in the refrigerator until ready to use. 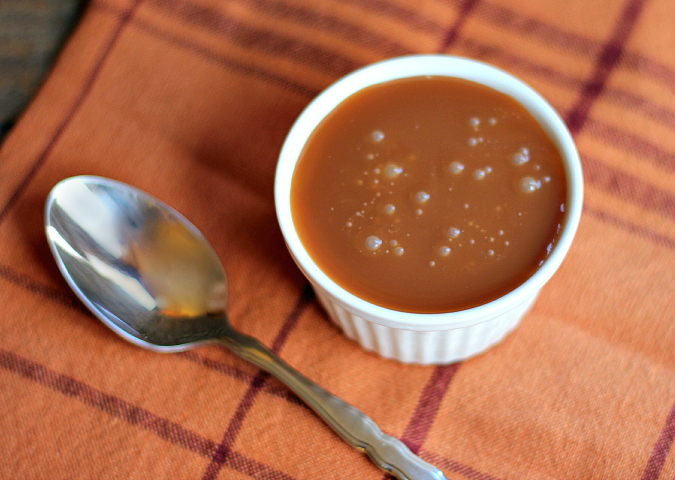 I love caramel and this looks easy; I should try it. I had no idea it was so easy! Definitely trying this! Sounds good. I love caramel over ice cream, or with apples.